March 23, 2016 – Engineers at NASA’s Glenn Research Center in Cleveland have developed a space flight experiment that will increase understanding of how an accidental fire might behave in a spacecraft after it leaves Earth’s atmosphere. The first of three planned flight experiments launched in an Orbital ATK Cygnus cargo vehicle on March 22 from NASA’s Kennedy Space Center in Florida. “NASA’s objective is to reduce the risk of long-duration exploration missions, and a spacecraft fire is one of the biggest concerns for NASA and the international space exploration community,” said Jason Crusan, NASA’s Advanced Exploration System director. 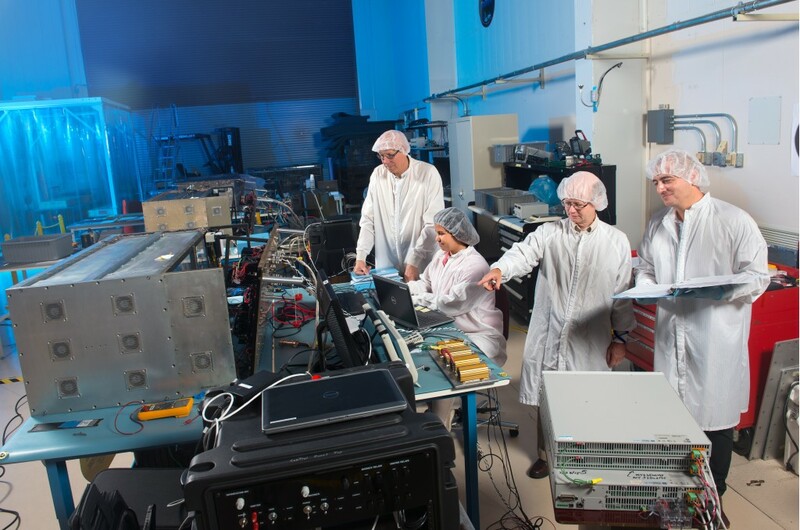 Working with a team of researchers from 11 U.S. and international government agencies and universities, NASA’s Spacecraft Fire Experiment, or Saffire, will be remotely conducted by Saffire and Orbital ATK personnel from the Orbital ATK Control Center in Dulles, Virginia. The experiment takes place in a three-by-three-by-five foot tall module carried aboard Cygnus. Once Cygnus arrives at the space station, the module remains aboard the vehicle while supplies for the station are offloaded. The experiment is conducted during the return trip to Earth. “Gaining a better understanding of how fire behaves in space will help further NASA’s efforts in developing better materials and technologies to reduce crew risk and increase space flight safety,” said Gary A. Ruff, NASA’s Spacecraft Fire Safety Demonstration project manager. 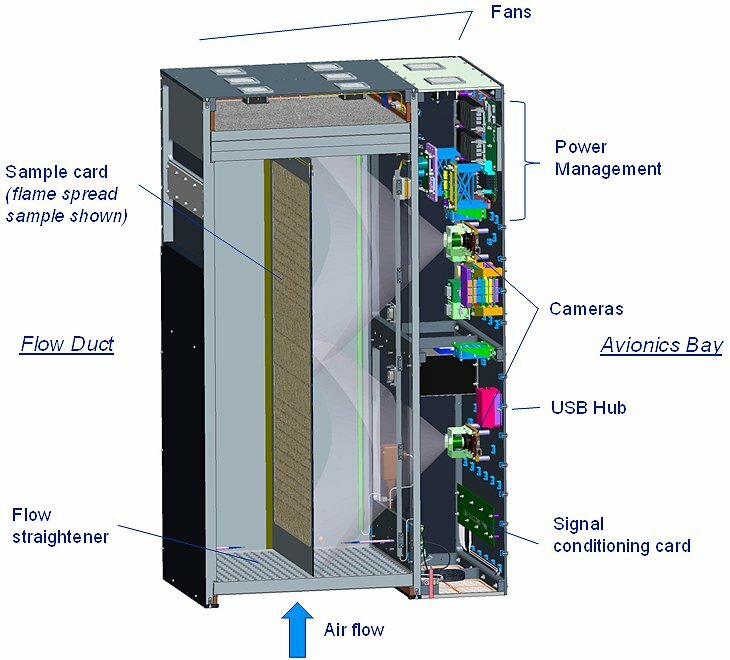 Each Saffire module is equipped to characterize and document the burning of large materials in a microgravity environment. These samples and the environment are like those found on the space station and the Orion spacecraft that will eventually take astronauts to an asteroid and Mars. Images and data captured from inside the module will be transmitted to Orbital ATK and relayed to Glenn prior to Cygnus’ destructive reentry to Earth. Researchers at Glenn as well as those on the international team will analyze the data and use it to further develop technologies to safeguard future astronauts from a spacecraft fire. The first Saffire experiment will assess a large-scale microgravity fire using sample material that is approximately 16 inches wide and 37 inches long. Two subsequent flight experiments in 2016 consist of Saffire-II, which will assess oxygen flammability limits using samples that are 2 inches wide and 12 inches long; and Saffire-III, which will assess a second large-scale microgravity fire. Each module will be flown aboard an Orbital ATK Cygnus cargo vehicle during a resupply mission to the space station. The Spacecraft Fire Safety Demonstration Project that developed the Saffire flight systems is sponsored by the Advanced Exploration Systems Division in NASA’s Human Exploration and Operations Mission Directorate. The three Saffire units were built at Glenn using components fabricated in manufacturing facilities at Glenn, NASA’s Johnson Space Center in Houston, and White Sands Test Facility in Las Cruces, New Mexico. Three additional experiment modules will be designed and built by engineers at Glenn and launched in Orbital ATK cargo vehicles beginning in 2018.